Trial Period Extended Through July 31! Take a free look! Click here, enter your email address and retrieve a password. It's that simple to begin exploring the entire system as if you're a paid subscriber! Click here to view the July 24 issue. 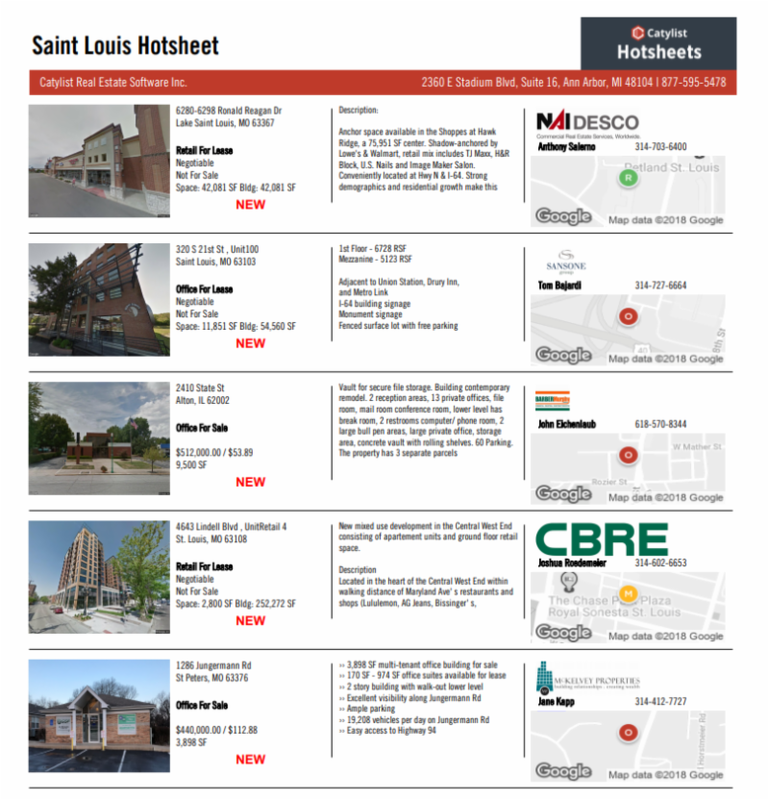 T o showcase your recent transaction or listing in a future Hotsheet, send details to stl@catylist.com . Two of Catylist's top trainers, Aaron Knight and Steve Golin will be making a return trip to the association to host an orientation for new users and answer questions for current users.